In an era of widespread calls for action to tame skyrocketing prescription drug costs, one organization consistently opposes measures to rein them in: the Alliance for Patient Access (AfPA). 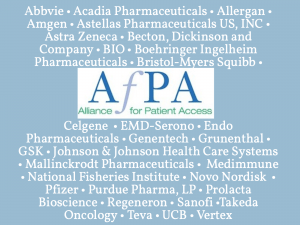 Associate members of the Alliance for Patient Access, or its offshoot the Institute for Patient Alliance, are primarily drug or medical device companies. The AfPA claims it’s trying to ensure patients have access to FDA-approved therapies. However, its track record shows it pushes platforms that help drug companies’ bottom lines. 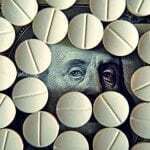 HealthNewsReview.org frequently writes about how patient advocacy groups are co-opted by drug industry funding, but the AfPA is something different, observers say: a front group established solely to do the bidding of industry. To advance its agenda, the AfPA often uses politicians and the news media, and rarely are its deep pharmaceutical connections called out. Recently, for example, STAT ran a ghostwritten op-ed piece from an AfPA board member that extolled a $24,000-a-year drug to treat psychosis related to Parkinson’s disease. 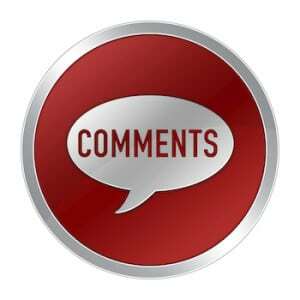 The op-ed was retracted after HealthNewsReview.org discovered and reported that it was ghostwritten. National pushback against high drug costs has coincided with an expanded role for the AfPA. At its inception in 2006 the AfPA claimed to represent a few dozen neurologists who treat Parkinson’s patients. Today it purports to have more than 800 physician members with “working groups” in seven issue areas. In an email, an AfPA spokesperson said its membership “is comprised of policy-minded physicians and healthcare providers” who “contribute their time as volunteers as opposed to financial dues.” Corporate contributors have nearly doubled in number since 2015, based on lists found on the group’s website. 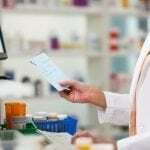 Critics say the AfPA and other industry-funded nonprofits oppose even modest measures to limit spending on expensive drugs with marginal benefits, pushing up costs for everyone and threatening prospects for a viable system in which everyone gets adequate care. “They’re trying to shore up what is obviously an otherwise losing public opinion climate on drug pricing,” said John Rother, president of the National Coalition on Health Care, which advocates for affordable care. The Coalition is partially funded by insurance companies who would benefit from lower drug costs. Rother runs the Coalition’s Campaign for Sustainable Rx Pricing. The AfPA’s general message is that the problem isn’t high drug costs, but rather payers steering patients to drugs not picked by their doctors, through what it calls “non-medical switching.” It calls for “patient-focused” approaches to drug coverage. David Mitchell, founder and president of Patients for Affordable Drugs, isn’t buying it. The Alliance for Patient Access is operated by a public affairs firm, Woodberry Associates LLC, and the two entities share addresses and management, public documents show. They were both created by former Iowa state GOP chairman Brian Kennedy in 2006, just after he lost a congressional primary bid. Kennedy is both Woodberry’s president and executive director of the AfPA and at least two offshoots, the Global Alliance for Patient Access and the Institute for Patient Access. He’s listed as a “counselor” of a third affiliate, the Coalition for Clinical Trials Awareness. In 2015, the most recent year for which data is available, Woodberry and its employees took in more than $900,000 from the AfPA and related groups in payment for consulting, rent, and other services. Who donates to the AfPA? Most of the non-profit organization’s funding comes from the drug industry, not physicians. A list of “associate members and financial supporters” linked to its web site contains 26 pharmaceutical companies and a biopharmaceutical trade group, the Biotechnology Industry Organization (BIO). 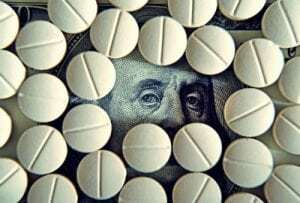 The AfPA also has received more than half a million dollars from the Pharmaceutical Research and Manufacturing Association (PhRMA), a drug industry trade group, since 2008, according to PhRMA disclosures. Annual dues for these corporations and trade groups are at two levels of $25,000 and $50,000, said Hepworth, the AfPA spokesperson, who is also a Woodberry employee. and Mallinckrodt Pharmaceuticals (H.P. Acthar, used for multiple conditions including rheumatic disorders and multiple sclerosis, $205,681 per year). The group’s six physician board members all have significant financial ties to drugmakers, according to ProPublica’s Dollars for Docs and published research disclosures. For example, according to the Dollars for Docs database, AfPA board vice president Srinivas Nalamachu, MD, received $811,352 in 2013-2015, nearly all of it related to opioid drugs or drugs that treat side effects from opioids. He is on the AfPA’s working group for pain therapy access. In April 2017, the Kansas City Star identified Nalamachu and his former partner, Steven Simon, MD, as among the top-paid promoters of drugs to treat opioid-related constipation. The Star subsequently reported in July that their clinic was raided by FBI agents in connection with an investigation of Insys Therapeutics, an opioid maker accused of paying kickbacks to physicians who prescribed its drugs. The FBI raid focused on Simon’s patient records and did not involve Nalamachu, according to the Star. Journalists don’t always report the vested interests behind these views. In Politico’s Prescription Pulse newsletter, covering a positive European study about a biosimilar drug, an article quoted the AfPA’s offshoot, the Global Alliance for Patient Access, saying biosimilars “may disrupt patients’ care and lead to higher costs in the long term.” Politico didn’t disclose that the Alliance is funded by brand-name biologics companies that could lose if biosimilars, which are cheaper generic versions, gain market share. Similarly, Bloomberg’s Bureau of National Affairs ran a story about legislation to combat the opioid epidemic, in which the AfPA raises concerns about “unintended consequences patients with legitimate medical needs may face because of arbitrary restrictions placed on prescribing.” It didn’t mention that the AfPA takes money from at least five opioid makers: Purdue Pharma, Endo Pharmaceuticals, Johnson & Johnson, Allergan and Teva Pharmaceuticals Industries. Rother, of the National Coalition on Health Care, said examples like these amount to a false equivalence in news coverage, treating both sides as if they have equal merit. “I think the role of journalism is to expose who’s actually behind these kinds of what I’d call fake groups. 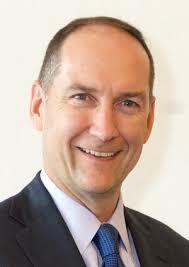 They are front groups that are there only to protect in the interests of manufacturers, not consumers,” he said. The Alliance for Patient Access also has elevated its profile by sponsoring policy forums involving journalists. STAT biotech reporter Damian Garde moderated the AfPA’s National Policy and Advocacy Summit on Biologics and Biosimilars in April. A tweeted photo from that meeting (below) shows Garde sitting next to Robert Yapundich, MD, whose ghostwritten op-ed later published in STAT failed to disclose more than $300,000 in payments from the drug industry. In 2015 POLITICO hosted a similarly-themed AfPA-sponsored panel, Biosimilars: Can They Break Through?. Both events focused on why biosimilars have been stalled by regulatory hurdles in the U.S. 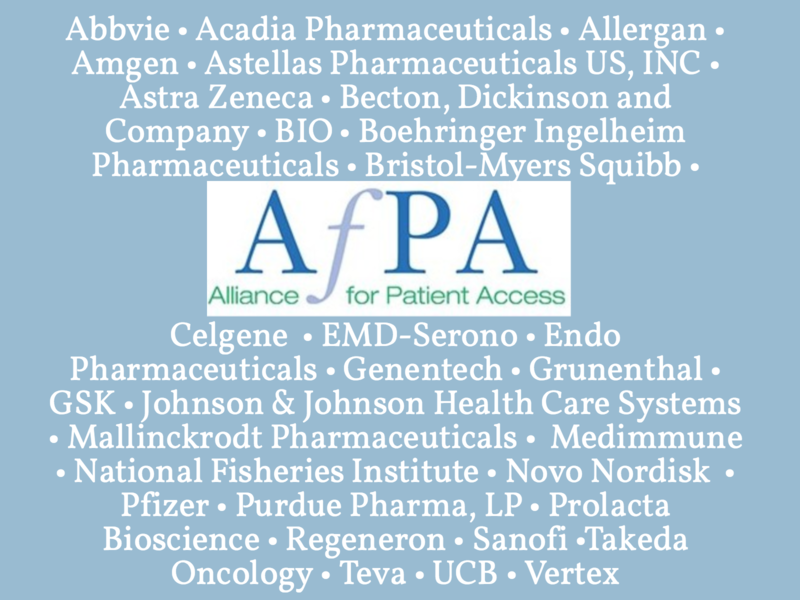 The AfPA receives funding from several makers of brand-name biologics including Pfizer, Johnson & Johnson, Amgen, AbbVie and Sanofi. Some were quick to criticize these media organizations. “Politico and STAT were had,” Mitchell, of Patients for Affordable Drugs, said. “It wasn’t a legitimate discussion. It was a paid-for pharma promotion of this scare tactic that you mustn’t take a biosimilar because it won’t do the same thing as a branded biological.” See more on our coverage of tactics used in the biologics vs biosimilars tug-of-war. The AfPA attempts to harness physician voices to sway public policy, holding briefings and advocacy training for “policy-minded physicians” who want to “challenge restrictive health policies.” It claims to run a forum of about 40 physician-legislators in 23 states. “With respect to health care issues, physicians serving as elected officials are often in a unique position to shape policy,” it says. The AfPA offers cover for lawmakers who carry out the pharmaceutical industry’s agenda, some observers say. In one striking example, the group accepted $7.8 million in 2014 and 2015 to give Medicare “Patient Access Champion” awards to members of Congress, according to its IRS disclosures for those years. The AfPA annual report shows that 50 awards were presented. The awards appear to be a way to thank cooperative legislators while also pressuring them and others to enact the AfPA’s policy agenda. AfPA spokeswoman Hepworth would not tell HealthNewsReview.org who contributed those millions, citing a “general policy” of not disclosing who contributes to particular projects. A portion of the money went to buy newspaper ads and mailers that urged senior citizens to contact their representatives to encourage them to “protect” Medicare funding for prescription drugs, HealthNewsReview.org found. Some say those awards and ads shielded lawmakers from criticism for voting against Medicare cost controls, such as an independent rate-setting board and other measures. 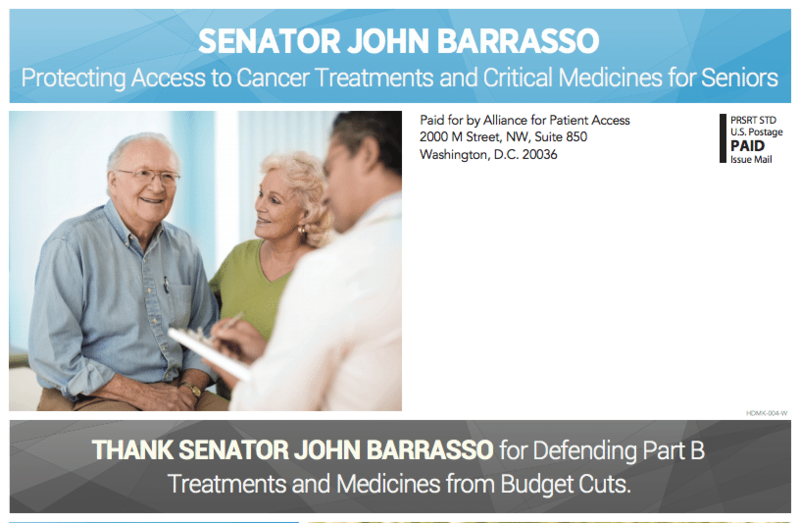 A mailer from the Alliance for Patient Access, asking voters to thank Sen John Barrasso, R-WY, for voting on a bill related to Medicare Part B. “If they are called out for undermining patients’ rights, they can say, ‘No, I received an award for protecting patients’ rights.’ A lot of citizens don’t have time to sort it out,” said Lisa Graves, executive director of the Center for Media and Democracy, a corporate watchdog group. The AfPA does not have to disclose who funded its bid to influence Congress, or anything else it does, because it’s organized as a not-for-profit under a section of the IRS tax code reserved for “social welfare” organizations, known as 501(c)4. Unlike super PACs, which are independent political committees, nonprofits don’t have to reveal their financial backers. They’ve become the preferred option for groups who want to influence politics without having their identities publicized. 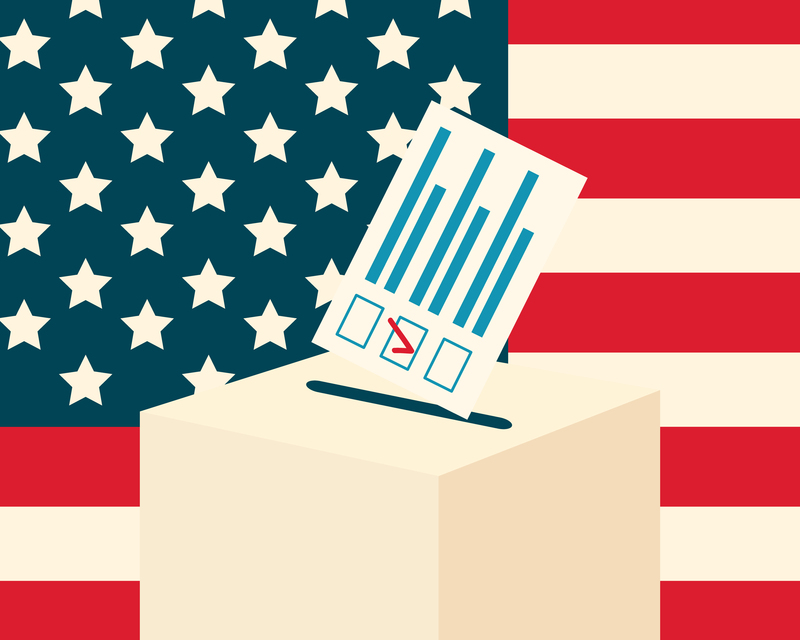 Some advocates want more transparency for nonprofits with 501(c)4 status, which have proliferated since the 2010 Citizens United court decision empowered them to participate in politics. The IRS says politics can’t be their primary function, but that rule is rarely if ever enforced. In the interest of transparency HNR should disclose that the AfPA critics quoted, such as the National Coalition on Healthcare, are funded by the health insurance companies. In fact, John Rother who is quoted in the article is a lobbyist advocating for generic drugs and reducing costs for insurance companies and limiting patient access. The Coalition’s membership includes insurance companies who would benefit from lower drug costs, as well as professional physician groups and others interested in keeping medication affordable. We added a note to that effect where John Rother is introduced. Thanks for reading and commenting.